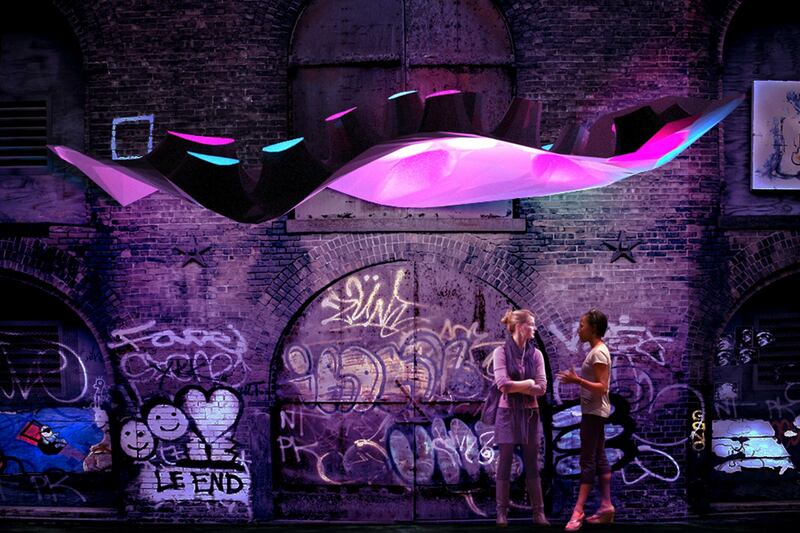 Urban Alley Infill is a proposal that addresses the leftover space in the urban environment. 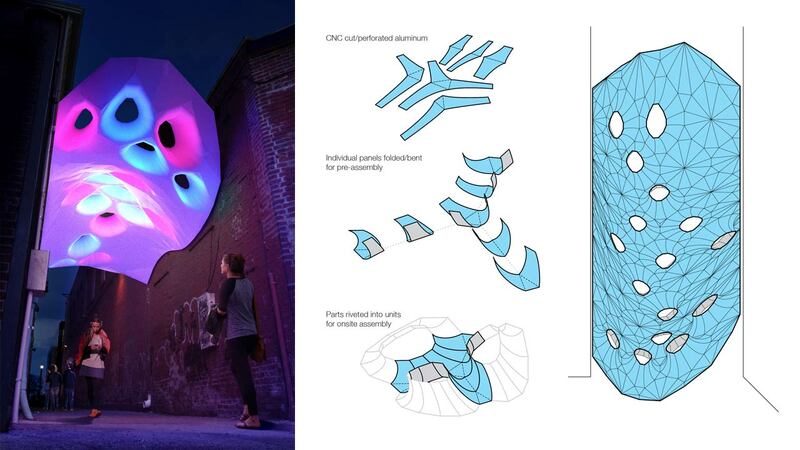 We proposed using this existing network in Indianapolis, and recognizing the potential of the space “in between.” The concept for this infill project focuses on reducing vertical scale, integrating lighting, and creating a visual impact on Indy’s streetscapes. This proposal was developed for the 5×5: Indianapolis Arts and Innovation; Make Your City: Make It Happen event presented by People for Urban Progress. The competition called for proposals that could be developed in 3 months for $10,000. The goal was to have a number of submissions for high impact projects that could be executed in an extremely short timeline. The proposal could be adapted to any site and can take on various forms. 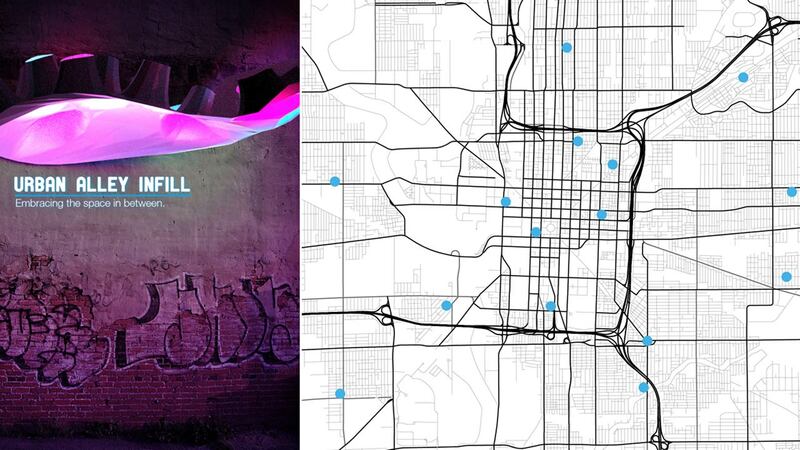 The current form looks to push the cultural boundaries of Indy by infusing an emerging aesthetic that uses technology to create visual beauty in contrast to the more traditional structure of the city. 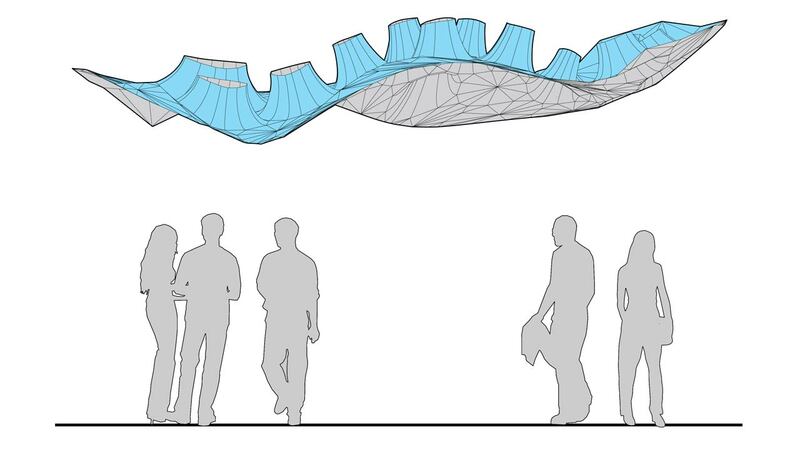 This canopy of light uses existing structure of the surrounding buildings as suspension points for a cable system, in order to reduce costs and make installation quicker. The piece would be prefabricated into components that can be easily transported to the site and fully assembled in a day. A painted white aluminum surface with integrated solar powered LED lighting brings an entirely new vibe to the downtown. The concept could be applied to a number of insertion points around the city, denoting places of interest and encouraging pedestrians to venture into various neighborhoods. While there is a push in Indianapolis to continue developing a design/art culture through First Friday events, the Cultural Trail, and urban renewal plans, we can’t forget about the space in between the city.